It seems like we all have good intentions when it comes to prayer. We all want to pray for our family, our friends, our church, missionaries, and more. But when its time to actually sit down and pray, if you're anything like me, its easy to draw a blank on exactly what to pray for. I'm so excited about starting this series! It's been on my heart for a while now, and I'm really looking forward to sharing my prayer journal with you. I've been using it for several years now, but I went through several variations before I found what works best for me. Now I use it almost every day. It has made such a difference for me! It keeps me focused and lets me pray over so many important areas of my life on a regular basis. I want to spend the the next few weeks helping you build your own prayer journal. Each Monday, I'll post about a different step in making your journal. At the end, I'll host a link-up so everyone can share their finished journal. Ready to start? The first step is finding the right notebook. It sounds simple, but take a little time on this step, because having the right notebook makes a difference. I've used different sizes and types, but I've found that a Moleskine-style 8 in by 6 inch notebook works best. I like this size and style because I can easily slip it into my Bible and take it with me. Its also large enough to give me plenty of room to write. I found a set of three notebooks made by C.R. Gibson at Walmart for about $8.00. I'm using one for my prayer journal, and another for a journal to record thoughts, quotes, Scriptures that stand out during my quiet time, etc. Whatever size and style you choose, make sure you have enough pages. You'll need 15-30 sheets (15 for larger journals, 30 for small) for the main part of the journal, then at least 15-30 more pages (I prefer to have a lot more pages left over). You may want to leave your journal as-is, or you might want to get creative. I recently made a fitness journal and had lots of fun with it! I created a collage of inspirational quotes and some Bible verses and covered it with contact paper. You can cover yours with photos, fabric, or whatever you'd like. THIS WEEK: * Find your journal. * Get creative if you'd like to - decorate and personalize it. NEXT WEEK: * We'll start building the "bones" of your journal. * I'll share pictures and examples from my journal, plus lots of great resources! Love the idea and praying that I can do the same thing too. So far my prayer list is on my phone reminder listing by day. 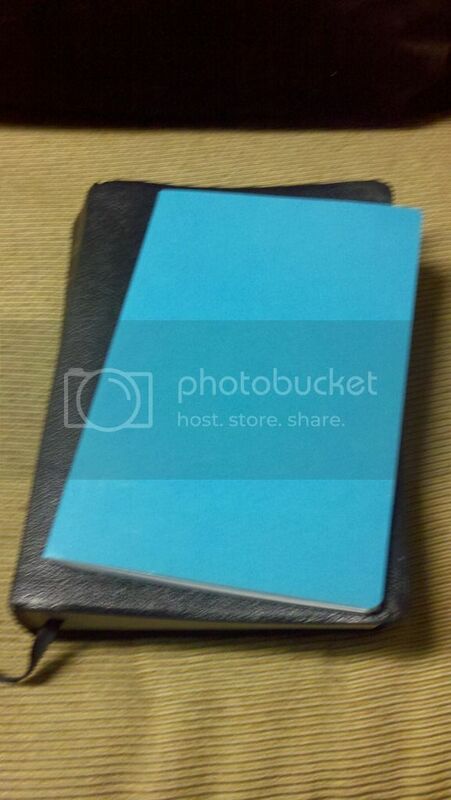 I've been think to have a journal/notebook of it. I used to have a journal. Looking forward to see what God has put in your heart... thanks for sharing! Great idea-I already use a moleskin to journal, now I have to get another! 10 Big Summer Projects That I Can Mark "Done"